Make your inner child happy with these mouth watering snacks. These delicious pressed candies are great for decorations, gifts, and games at baby showers. 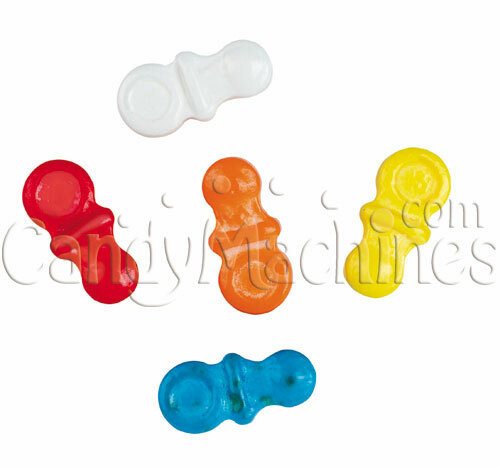 Their brightly colored coats have an eye catching shine and will attract attention in any vending machine. 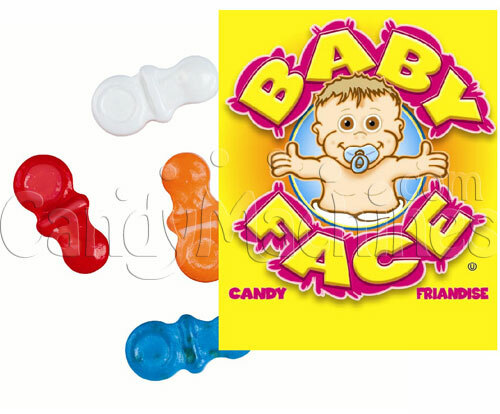 They are shaped and detailed to resemble real baby pacifiers! This mix includes Fruit (White), Banana (Yellow), Orange (Orange), Cherry (Red), and Grape (Blue). 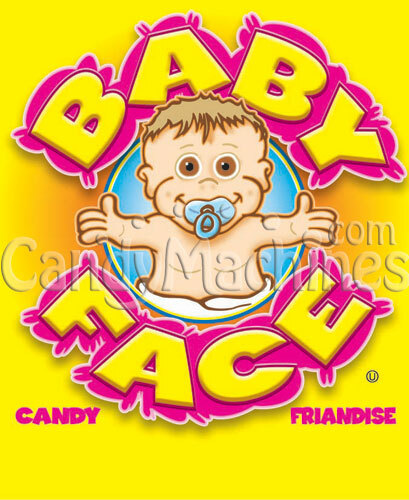 Need a machine to vend these pacifier candies? Be sure to see our full line of candy vending machines.